Editor’s Note: Today’s guest post (our seventh so far this year) from Ashanti Mills provides a different framework for making sense of superhero motivations through the example of Captain America in the Marvel Cinematic Universe. There has only been one other post so far looking at the MCU and few posts considering films more generally on The Middle Spaces, so this is doubly a welcomed piece. If you have a thoughtful take on a superhero film be sure to check out our Submit page and shoot a pitch over email. Both in comics and in movies, superheroes go through a lot. Over-the top violence, melodramatic betrayals, and the sense that safety is never guaranteed are all genre staples. Most of them don’t seem to suffer much in the long term, though. What might traumatize a real person—Captain America fighting in World War II in Captain America: The First Avenger, Hawkeye being mind-controlled in The Avengers, or Spider-Man being held at gunpoint in Spider-Man: Homecoming—wouldn’t permanently damage most superheroes. They cope. They joke about it. They move on. Elizabeth Sandifer disagrees, however, that most superheroes cope and move on. Sandifer argues in “Amazing Fantasies: Trauma, Affect, and Superheroes” (2008, writing as Philip Sandifer) that trauma is the defining feature of superheroes. In her framework, superheroes are defined by their origin stories, which later stories structurally mirror. For example, Spider-Man’s identity is shaped by living with the consequences of his choices to act or not, starting with his role in Uncle Ben’s death and continuing with the death of George and Gwen Stacy and the shooting of Aunt May. Gotham has always seemed like a dangerous, chaotic place since the murder of Thomas and Martha Wayne, which is confirmed by the murder of Jason Todd and the crippling of Barbara Gordon. This narrative structure of fixation on a horrific event and its symbolic repetition mirrors real life trauma. The Substance Abuse and Mental Health Services Administration (SAMHSA) defines trauma as “result[ing] from an event, series of events, or set of circumstances that is experienced by an individual as physically or emotionally harmful or threatening and that has lasting adverse effects on the individual’s functioning and physical, social, emotional, or spiritual well-being.” In his book, The Body Keeps the Score, Dr. Bessel van der Kolk shows that traumatized people don’t move on from their pasts because the parts of the brain that would allow them to do so have been damage and that trauma affects the ability to have positive relationships with others, imagine different possibilities, and react carefully to stressful situations. 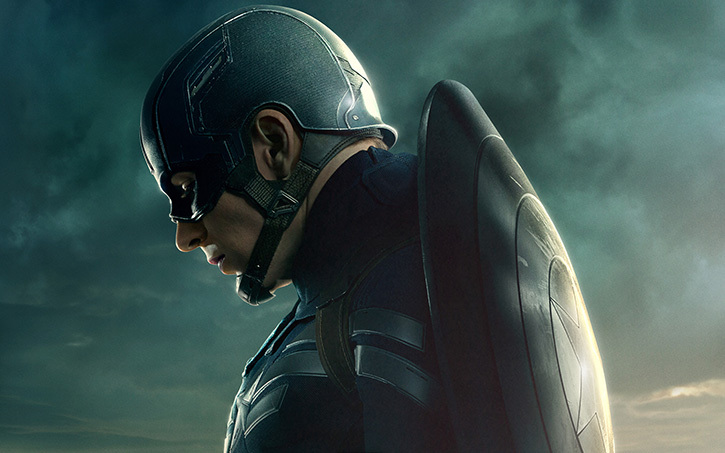 This essay will build on Sandifer’s framework using research on trauma survivors, and apply it to the Marvel Cinematic Universe’s version of Steve Rogers/Captain America, as depicted in Captain America: The First Avenger, The Avengers, Captain America: The Winter Soldier, Avengers: Age of Ultron, and Captain America: Civil War. In this reading, Captain America is less a paragon of virtue or power fantasy of white masculinity, than a tragic figure who has never healed from his traumatic origin story. What is a Traumatic Origin Story? What is a Traumatic Event? Steve Rogers is used to being beat up for his principles. Sandifer’s framework requires a traumatic event that is symbolically repeated throughout a character’s story. Which events in, around, or before The First Avenger could qualify as Steve Rogers’ traumatic origin story? In “A Conceptual Framework for the Impact of Traumatic Experiences,” Eve Carlson and Constance Dalenberg theorize that “[t]hree elements are considered necessary for an event to be traumatizing: The event must be experienced as extremely negative, uncontrollable, and sudden,” though they also note that “an event may not be traumatic even if all three are present.” For any given traumatic event or set of circumstances, some people walk away unscathed, some heal quickly, and some are never the same. Steve Rogers has experienced potential acute traumas (which the Missouri Department of Mental Health defines as “trauma [that] results from a single incident”): his mother’s death, Bucky’s death, and sacrificing his life by crashing the Valkyrie into the Atlantic. Steve has also experienced potential chronic traumas (traumas that are “repeated and prolonged such as domestic violence or abuse,” ibid.) like being bullied, impoverished, and malnourished throughout his childhood, being a soldier in WWII, and being trapped and isolated in the 21st century. Two of those are symbolically reiterated throughout the MCU: the Valkyrie crash, which is echoed every time Steve jumps or falls from a high place; and feeling isolated and trapped in the 21st century, which is reiterated every time Steve’s relationships are damaged in a way that positions him as incompatible with modern society or the people around him. The Body Keeps the Score explains why being trapped increases the risk of traumatization. Whenever people are in danger, our brains release chemicals that help us escape or defend ourselves—the fight-or-flight response. This response is designed to stop after the danger has passed, but if a person is trapped and unable to do anything about their situation, “the brain keeps secreting stress chemicals, and the brain’s electrical circuits continue to fire in vain. Long after the actual event has passed, the brain may keep sending signals to the body to escape a threat that no longer exists” (54). 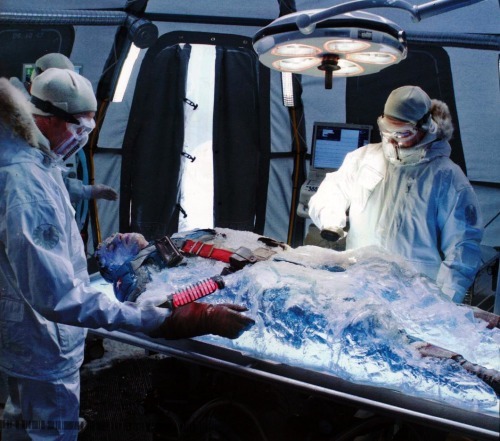 Iron Man 3 explores this idea with Tony Stark: Tony has frequent panic attacks after his near-death experience in The Avengers. Steve Rogers never has an on-screen panic attack, but there are subtler repercussions that follow his character through the rest of his films. Chronic trauma, on the other hand, is an accumulation of negative experiences. Losing his loved ones and moving to a new place might not be traumatic for Steve, but all of the aspects of 21st century life–the culture shock, losing his support networks, being constantly misunderstood and constantly misunderstanding others–would be overwhelming. Steve can’t escape these experiences, he can’t anticipate when he will be reminded of his loneliness, and the reminders happen so frequently that there’s not much he can do to defend against them. Dr. van der Kolk calls this sort of long-term suffering “inescapable shock.” After dealing with unpredictable and unavoidable pain for so long, “many traumatized people simply give up. Rather than risk experimenting with new options they stay stuck in the fear they know” (30). In The Avengers, Phil Coulson tells Steve that 21st century people need the kind of old-fashioned ideals Captain America represents. However, neither Phil nor Steve realize that Steve is old-fashioned partially because Steve’s trauma prevents him from making a healthy adjustment to his new circumstances. There are a few different ways to read the symbolic repetition of Steve’s original traumas. When old traumas are recreated or relived in the present day, they’re called reenactments. In “A Helpful Way to Conceptualize and Understand Reenactments,” Dr. Michael Levy describes several categories of reenactments. The first is when “individuals more actively reenact a traumatic situation from their past.” For Steve Rogers, this includes the times when he deliberately falls from a high place or damages his relationships with the people around him. Cap leaps from a plane without a parachute in The Winter Soldier. In The Winter Soldier, Steve jumps out of a moving plane, into the Indian Ocean, without a parachute, reenacting his plane crash into the Atlantic. In Age of Ultron, Ultron accuses Steve of “pretending [he] could live without a war.” The first example shows us, and the second example tells us, that Steve goes out of his way to jump out of planes and fight people, even without direct cause. Dr. van der Kolk notes in his book that traumatized people “often complain about a vague sense of emptiness and boredom when they are not angry, under duress, or involved in some dangerous activity” (31). Seeking out and embracing dangerous situations—like skydiving or combat—are how they attempt to feel better. Steve’s reenactments are not just about him, though—they affect the people around him. At the end of the Captain America trilogy, Steve encourages Tony Stark/Iron Man to find solace in the Avengers, and lets go of the Avengers as family for himself. “I’ve been on my own since I was 18,” he says. “I never really fit in anywhere, even in the army.” After the crises of Civil War, he resigns himself to being alone, framing it as a more natural fit than having supportive relationships. Dr. Levy states that “[t]rauma survivors may…be drawn to establish relationships that are similar to past significant relationships because there is comfort in familiarity.” In this case, the relationships most familiar to Steve are ones where he feels completely isolated. Wanting to be left alone may seem harmless, but the context for Steve’s actions should make us ask if he is effectively coping with his pain. Pepper Potts essentially asks such a question of Tony in Avengers: Infinity War, when she asks if he really needs the latest upgrade to the Iron Man suit. The Iron Man suit has its practical benefits, but Pepper recognizes that Tony’s attachment to it is rooted in insecurity and calls him on it. No one does this for Steve. Triggers often precipitate reenactments. SAMHSA defines a trigger as “a stimulus that sets off a memory of a trauma or a specific portion of a traumatic experience.” Emotionally triggered people may respond to a situation in a way that would only be appropriate to the original trauma, e.g. feeling like they are about to die whenever they hear sudden, loud noises, because they’re reminded of a war zone (Levy). In The Avengers, a trigger reminiscent of one trauma (isolation) causes Steve to reenact another (falling). Captain America, Iron Man, and Loki all meet for the first time in The Avengers. Steve specifically compares Loki to the Red Skull, turning the villain into an extension of his 70-year-old vow to completely destroy HYDRA. Then Steve meets Tony, they arrest Loki together, and Tony jokes about the disconnect between Steve’s age and body, using references Steve doesn’t understand. These jokes establish that Steve does not understand the world around him and that the people around him view him as an anomaly. Soon after, when all of them are on the Quinjet, Thor steals their prisoner and Tony flies after them both, leaving Steve behind. Black Widow suggests that Steve “sit this one out,” but he refuses. The First Avenger defined Steve as someone who always fights bullies, and when Thor, Loki, and Tony leave him behind, he is unable to do that. Feeling misunderstood, isolated, and shut out from the thing he’s defined by, Steve Rogers tries to catch up–and jumps out of the plane. Sometimes the reenactments are triggers themselves. There’s a point in Civil War where Steve has a chance to correct his mistakes. The government is considering prosecuting him as a criminal for aiding and abetting a fugitive, Bucky Barnes. Tony offers Steve a deal: “Nothing’s happened that can’t be undone, if you sign [the Sokovia Accords]…Barnes [can get] transferred to an American psych-center instead of a Wakandan prison.” Steve considers it, but ultimately rejects the offer. The film implies that Steve refuses because of how Tony treats Wanda, and because Steve can’t accept the Accords on principle, but there’s something else that happens before Steve makes his final decision. Before helping Bucky evade the government, Steve falls into a river, mirroring his crash into the Atlantic. When he reemerges, he goes on the run with Bucky and fights the Avengers. After reenacting the trauma of the plane crash, Steve reenacts his trauma of isolation by ruining his relationships with his closest friends. One of Captain America’s defining traits is that he always does what he knows, in his heart, is right, regardless of what other people tell him. But what if his heart is compromised? Traumatized people often “have no idea why they respond to some minor irritation as if they were about to be annihilated” (van der Kolk 66). If Steve mistakes his own emotionally triggered responses for an informed analysis of a dangerous situation, then his reenactments are no longer harmless. Sometimes Steve doesn’t do any one thing to reenact his trauma, but his habits, and the consequences thereof, lead to these situations over time. By his fifth MCU film, Civil War, Steve has spent years defying authority and endangering people by listening to no one but himself. In The First Avenger, he disobeys a direct order from his superior, Col. Phillips, and goes behind enemy lines alone. In The Avengers, he looks through and exposes his boss’s secret weapons program, and later commandeers a Quinjet. In The Winter Soldier, he and his closest friends fight an entire government agency. By Civil War, he has left enough collateral damage behind to make his friends turn against him when he refuses to change his behavior. They eventually fight, and most of his friends get hurt or imprisoned as a result. Steve ruins his relationships with the Avengers, reenacting his isolation, by being uncompromising and unwilling to try novel solutions. Sometimes trying to avoid the trauma leads to its reenactment. When Steve learns that Bucky is the Winter Soldier, he tries to reconnect with him, even when others suggest letting him go. Despite Steve’s persistent attempts to rekindle one of his closest relationships and get some part of his pre-21st century life back, Bucky denies him multiple times. When the Winter Soldier fights Steve, or refuses to acknowledge their past relationship, or refuses to recognize himself as James Buchanan Barnes, Steve is forced to remember how much he lost when he woke up in the 21st century. In the first example, Steve isolates himself when his friends stop tolerating his refusal to compromise and question his impulses. In the second, he fails to protect himself from Bucky’s denial because he keeps using a tactic that fails. In both, he keeps doing the same thing over and over. Van der Kolk explains that traumatized people “suffer from a failure of imagination, a loss of the mental flexibility” (58). They react to new situations as if they were the same as old ones and have trouble envisioning a better future or alternate pathways. Steve Rogers rarely puts himself in a position where he can avoid fighting people or isolation. If he does, he undoes it later (in The Winter Soldier, he works with S.H.I.E.L.D. and then dismantles it; in Civil War, he works with the Avengers, then causes their breakup). Steve is stuck in a self-destructive cycle. Traumatic reenactments may sometimes have positive effects. Levy explains that “[t]he distinction between adaptation and maladaptation can be difficult to make, since all coping mechanisms are inward struggles to adapt to life and to master its challenges. In addition, because trauma can affect many spheres of functioning, the individual may have adaptively mastered certain aspects of the trauma, but in other areas the resolution may be less than adequate.” This is especially relevant to superheroes who always win by the story’s end, usually at some great cost. Most of Steve’s reenactments are not wholly negative and self-destructive. There are always justifications for his actions. Whether or not he could’ve known it at the time, Steve is eventually vindicated whenever he fights the people close to him. In The Avengers, Steve needs to expose his boss’ secrets because Tony makes such a convincing argument about S.H.I.E.L.D. being up to no good, and he needs to jump out of the Quinjet because he needs to chase bad guys. In The Winter Soldier, he needs to fight S.H.I.E.L.D. because they were secretly planning to kill everybody, and he needs to jump out of plane without a parachute because–well, if he can do it, why not? And in Civil War, he needs to fight his friends because none of them understand that Bucky is innocent and that the government cannot be trusted. But just because his behavior can be justified after the fact, doesn’t mean it shouldn’t be questioned. It’s always important to ask if a story could have gone in a different direction and why it didn’t. If Steve’s traumas compromise his decision-making, what would a healthy decision-making process look like? What would these films be like if Steve didn’t have to hurt the people close to him, and could learn how to have healthy, supportive relationships? Understanding that Steve’s decisions can be both problematic and effective makes it easier to understand these scenes in multiple ways. Take the elevator scene from The Winter Soldier: in one view, Steve carefully notices that the elevator is filling up with S.T.R.I.K.E. agents with their hands on their weapons. Steve cleverly deduces that they are about to attack him and diplomatically gives them the option of leaving peacefully, at which point they attack him first. With that in mind, Steve’s fight at the Triskelion looks more like sheer paranoia. Steve, who generally doesn’t feel connected to others, and at this moment has even more reason not to trust his coworkers, and whose close friend just died in front of him, gets trapped in a small space, surrounded by people. Steve, who fights people much more confidently than he bonds with them, concludes that his trusted coworkers are about to attack him before anyone even approaches him. And he responds, of course, by attacking people close to him and falling out of the sky. Steve’s actions are justified after the fact: his coworkers were trying to unjustly arrest him, and it later turns out that they would kill him if they could get away with it. The Winter Soldier is a film based on political and personal paranoia, both in that it’s a film about the government’s secret plan to kill innocent people, and also that Steve spends the entire film unsure of who he can trust and who he can’t. But although the film justifies that paranoia by the end, his paranoia begins with and stems from his trauma. At the end of the day, Captain America is still a superhero. He saves lives and he’s the moral center of his films. But viewing Cap as a moral center glosses over his destructive behavior. Understanding the context for his decisions helps disentangle the positive and negative aspects of those decisions, and can help describe the similarly complicated decisions of people around us. Whether it’s jumping out of planes or picking up extra shifts at work, fighting supervillains or hanging out a bar, many actions can be simultaneously adaptive and maladaptive, and thus difficult to talk about. My hope is that this essay makes it easier. Ashanti Mills received his B.A. in English from Howard University in 2015, and currently lives right outside of Washington, D.C. His research interests include trauma, music theory, semiotics, and genre. He tweets @DakotaCityRag. Phenomenal. Great insights. Thanks for sharing because it says a lot about society too.